“A good start is half the work” – Yes indeed, how true this saying is with 2015 in progress. Start the coming year right by having a plan to make the most of grass. Grass is the cheapest source of feed. It is three times cheaper than silage and five times cheaper than concentrates. Aim to exploit the advantage of grass to the full by a long grazing season (target is 220 days) and an early turnout of stock. Aim for high weight gain from grass throughout the season. Keep enough leafy grass in front of stock right throughout the grazing season to get good animal performance. On any farm, grass supply and grazing season length is dependent on location, weather, stocking rate and soil type, but most importantly, on the fertility status of the soil on the farm. Soil fertility is hugely influenced by soil pH (lime level), along with Phosphorous (P), Potassium (K) or Potash and adequate Nitrogen (N) levels present in soils/applied during the growing season. The level and balance of NPK is hugely important. Both P and K are essential for plant growth, for the uptake and utilisation of Nitrogen by grass plants. Lime is the cement in the mix of NPK that makes them available to promote plant growth. 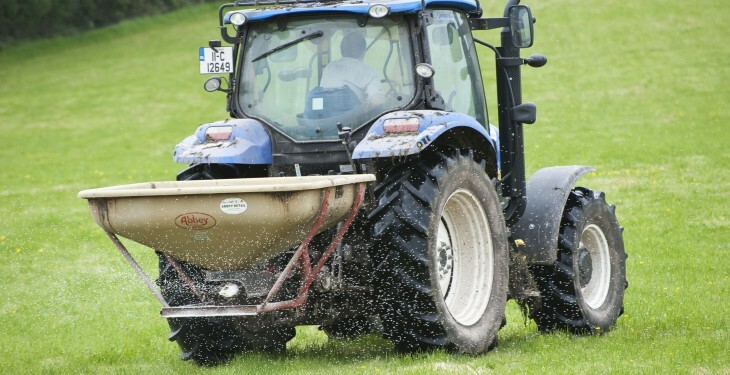 Ensure you have a correct level and balance of P, K and Lime on your farm. Ideally, for maximum grass growth, a soil needs to be at P index 3 for P and K and have a pH 6.3 or greater in grassland. Teagasc in Co. Galway have recently done an analysis of soil samples taken in November 2014 and the results are worrying, especially for a county that is mainly involved in grassland production. 60% of soil samples were low in Phosphorus P.
Some 62% of soil samples were low in Potassium K and 75% were low in lime. However, when Teagasc looked in depth at the soil results above more than 90% of the soils were low in either P, K or lime. Taking soil samples is the first step in soil fertility management. It is also an effective way of tackling fertiliser costs. It provides you with vital information about your soils and has to be the foundation of any fertiliser plan. A standard soil test will give the soil fertility status for pH, Lime Requirement, Phosphorous(P) and Potash (K). While it might appear expensive to carry out a soil test, it costs in the region of €1.25/ha./year. It is value for money, with the test being valid for five years. Soil testing at €25/sample is money well spent and when you get the P, K and lime correct you can produce €300 worth of additional grass/Ha each year. Ideally, samples should be taken by a professional Agriculturist or someone trained to take soil samples. Taking soil samples and having a fertiliser plan drawn up by a Teagasc Adviser or Agricultural consultant will deliver more grass annually, while controlling fertiliser costs by pinpointing fields that have a deficit or surplus of P and K. Any fertiliser plan should take into account all organic fertilisers (slurry and FYM etc) available to be spread on farm after January 15 and February 1, respectively. 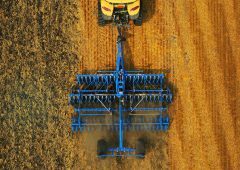 Building soil fertility levels will take a number of years depending on existing levels in fields. Now is a good time to take out the fertiliser plan and identify fields that require additional P and K or Lime to maximise grass growth in the future. 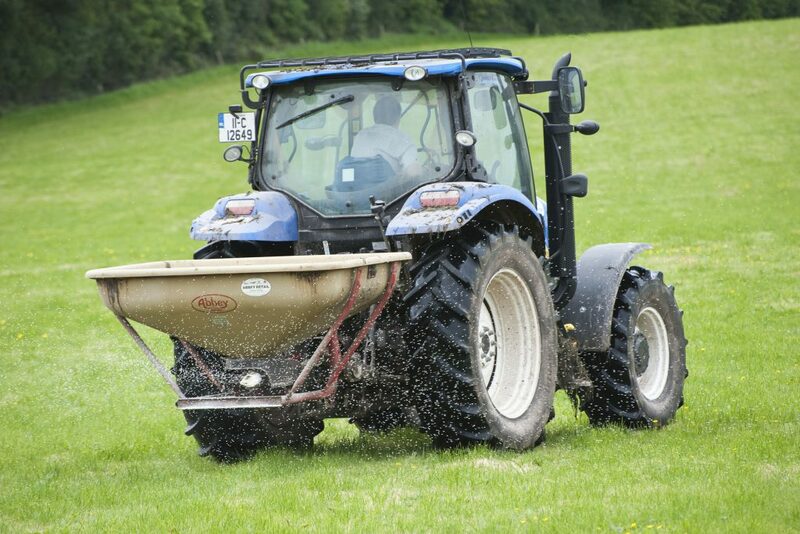 Contact your local Teagasc Adviser or Agricultural Consultant to take soil samples before spreading any slurry, FYM or chemical fertiliser this spring.